Last fall, UNC professor Maureen Berner visited food banks across Belgium to learn how they handle issues of poverty and food insecurity. This scholarly exchange was also a home exchange, as University of Antwerp historian Maarten Van Ginderachter came to Carolina to work on his new book and collaborate with professors. 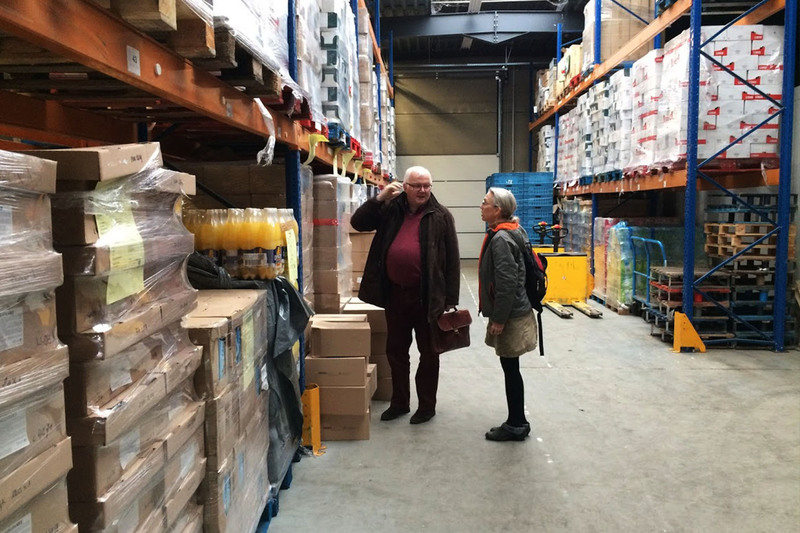 Maureen Berner talks with Jacques Vandenschrik, president of The European Federation of Food Banks (FEBA), at Banque Alimentaire du Hainaut Occidental et de Mons-Borinage ASBL in Tournai, Belgium. Maureen Berner, a professor with the UNC School of Government, had long considered going abroad to do research comparing governmental and non-profit responses to poverty and food security. Much of the current research on these issues was coming out of Europe and Canada. In early 2017, the two met on a home exchange website. After a flurry of emails, Skype chats, various university approvals, and navigation through the international visa process — the deal was struck. Berner and three of her four children — her oldest son, Will, is a UNC sophomore — began making arrangements to work and study based out of their new temporary home in Merelbeke, a suburb of Ghent, Belgium. She accepted a visiting scholar position at Ghent University and its Centre for Global Studies. The Belgian Federation of Food Banks assists more than 150,000 people in Belgium with the help of hundreds of volunteers and thousands of donors — which include supermarkets, producers, and restaurants. But the food banks here aren’t merely for food distribution. Berner spent the Fall 2017 semester in Belgium to gain a better understanding on Europe’s perception of poverty as “material deprivation and social exclusion.” Specifically, what lessons could Europe offer North Carolina through the lens of its own response to food insecurity? Berner talked to leaders of the European Union’s Fund for Economically Disadvantaged, the European Federation of Food Banks, the Belgian Federation of Food Banks, and related institutions in the United Kingdom such as The Trussell Trust and the Joseph Rowntree Foundation. Crisscrossing the country, she made site visits to regional food banks in Antwerp, Ghent, Liege, Brussels, Kuurne, and Tournai, as well as to Eindhoven in the Netherlands. Where she found an immediate difference, however, was the over-arching theme of “Social Europe,” a term that “seems to have caught fire” — although the term itself is not well-defined. A reflection paper from the European Commission released in April 2017 states that social dimensions address how to sustain our standards of living, create more and better jobs, equip people with the right skills, and create more unity within our society, in light of tomorrow’s society and world of work. In Berner’s interviews with food bank administrators and staff, she was surprised at the breadth of the term’s use with individuals, suggesting that the social inclusion framework had been adopted across government services and used by citizens, non-profit organizations, and businesses — and not just applied to traditional social service/anti-poverty programs. 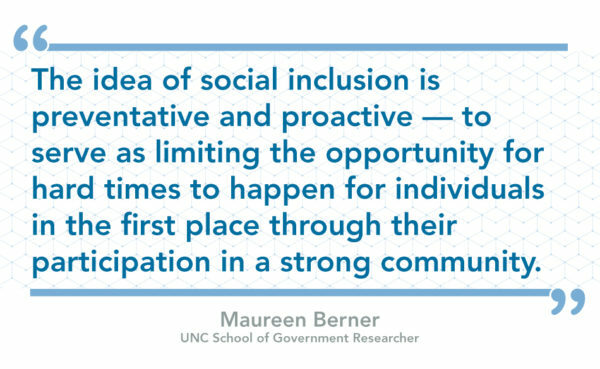 Social inclusion was targeted not only to low-income individuals, but was conceptualized as a right of everyone, according to Berner. Three themes flowed from her interviews. The first is the use of material deprivation as a measure of need — things like housing, heat, food, and transportation — as opposed to using only income, the common criteria utilized in the United States. The second was a focus on personal responsibility, with the idea that if someone were adequately participating in community life — such as having an education, a job, and social connections and interactions — then they should be able to maintain a minimum, acceptable living standard without intervention. The third flowed from a “team” analogy. The government and nonprofits involved in food security were firm in understanding their distinct and limited roles. “We do not do that,” was a common statement. But there was also a clear expectation of respect and collaboration in helping each other in those separate roles, promoting and enabling inclusion in community life. 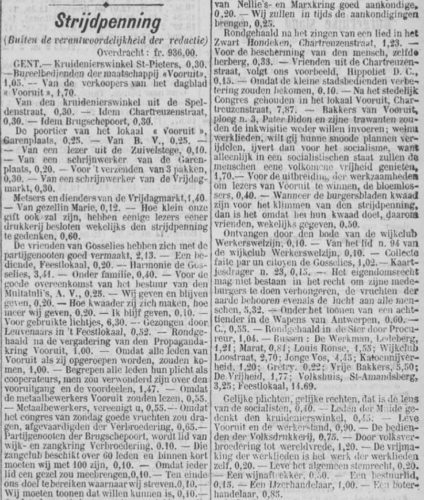 An example of a “tweet” precursor published in the Ghent party paper, Vooruit, in 1898. While at UNC, Van Ginderachter finished the manuscript for his book. In the 19th century, Belgium was the paragon of European modernity. Densely populated and urbanized, covered by a network of busy railroads, canals, and highways, it was the first industrialized country on the continent. Van Ginderachter also wanted to give voice to the faceless masses that are so often overlooked in history. 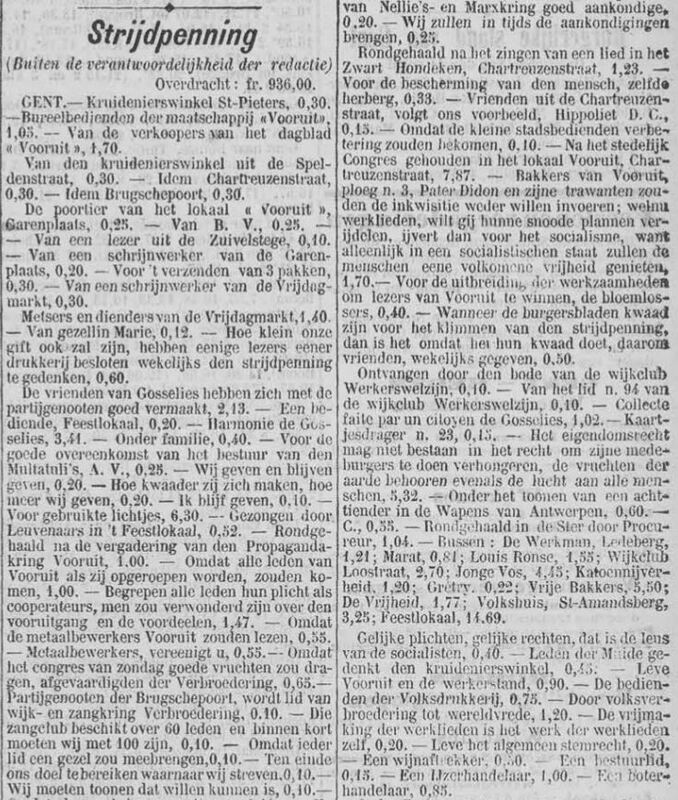 Using sources from ordinary people (including a late nineteenth-century precursor of “tweets” published in the labor press), he tried to uncover the everyday experience of working-class people in pre-WWI Belgium, and how they related to issues of nationhood, ethnicity, and language. Living for nearly half a year in Belgium with her family, Berner found Belgians to be very warm and interested. 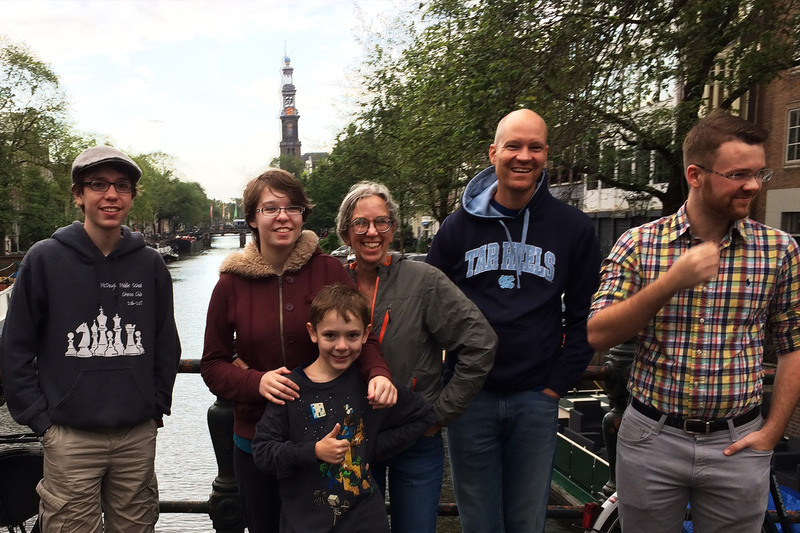 Berner (center) with her family in Amsterdam (from left to right): Max, Yvette, Leo, her husband Andy, and Will, who is currently a student at UNC. 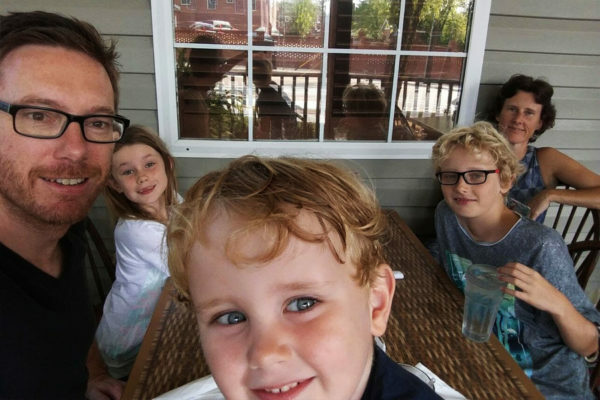 His family grew fond of Chapel Hill and especially Carrboro. Their local favorites include the porch of Mama Dips, Elmo’s in Carrboro, Maple View Ice Cream, and Weaver Street Market. The family travelled regionally, enjoying the fall with hikes in the Triangle area, visits to the coast — “long live soft-shell crab and delicious scallops,” exclaims Van Ginderachter — and the Blue Ridge Mountains. “Asheville is probably our favorite city in the state,” he says. When asked about differences with life in Belgium, Van Ginderachter notes that there was no real culture shock, but as a scholar of nationalism it is the small differences that are most interesting because they activate certain identifications as a Belgian or a European that otherwise remain under the radar. Van Ginderachter (left) and his family enjoy dinner at Mama Dip’s in Carrboro. Now back in Chapel Hill, Berner and her family have re-acclimated to their American life, but she continues to work through her notes and observations from her “study abroad.” Through contacts made and ideas circulated, she returned to the School of Government with a broader view of an issue she has studied for more than 20 years. 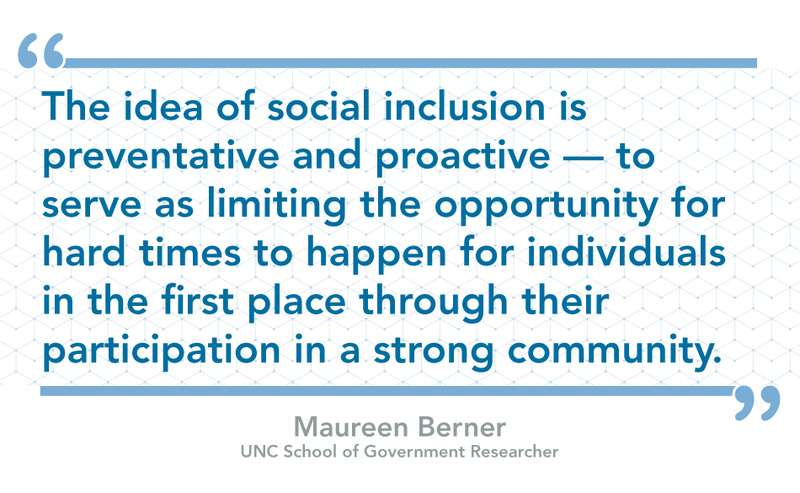 Maureen Berner is a professor of public administration and government within the UNC School of Government. Her research in Belgium was made possible, in part, through a grant from the UNC-Chapel Hill Food for All Committee. Maarten Van Ginderachter is an associate professor and director of graduate and undergraduate studies within the Department of History at Antwerp University in Belgium. His stay was funded by the FWO-Research Foundation of Flanders.